Provide comfort for the family of Norman Gibson with a meaningful gesture of sympathy. Norman Leroy Gibson of Mineral Point, Missouri, was born March 15, 1945, in Hopewell, Missouri, a son of the late Ernest William and Ella Marie (Mercer) Gibson. Norman departed this life January 24, 2019, having reached the age of 73 Years, 10 Months and 9 Days. 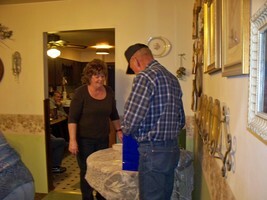 Norman was united in marriage to Marilyn Gibson on October 23, 2010, in Hopewell, Missouri. Norman is survived by his wife Marilyn Gibson of Mineral Point, MO, two daughters, Micah Toombs and husband Rodney of Potosi, MO, Amanda Hedgecorth and husband Josh of Potosi, MO, two sons, Billy joe Gibson of Villa Ridge, MO, Arthur ‘Butchie’ Nevills of Union, MO, eight grandchildren, Michael Toombs, Jack Toombs and wife Amanda, Jennifer Toombs, Cameron ‘Cami’ Hedgecorth, Connor Hedgecorth, Reese Hedgecorth, Austin Gibson, Anthony Bowles and wife Cierra, one great grandson, Miles Toombs, two sisters, Ruth Morgan of Potosi, MO, Shirley Cordingly of Potosi, MO, two brothers, Bobby Gibson and wife Norma of Lovelock, NV, Michael Gibson of Potosi, MO, two sisters-in-law, Joan Gibson of Potosi, MO and Marsha Thurmond and husband Steve of Mineral Point, MO, and by many other relatives and friends. In addition to his parents Norman was also preceded in death by one sister, Bernice Gibson and by two brothers Jerry Gale Gibson and Larry Dale Gibson. 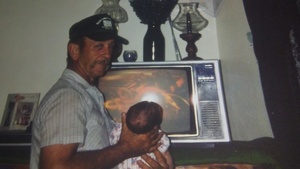 Norman had a great love for his family, his grandchildren were the light of his life. He always had time whenever the grandchildren had a project or needed to go hunting or fishing. 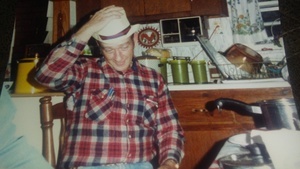 Norman was an avid farmer and worked hard with his cattle and horses. He enjoyed not only watching rodeos but taking part in bronc riding. 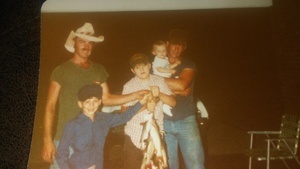 Mother Nature and Norman had a great bond, his time hunting and fishing in her beauty was a highlight in his life. He enjoyed working his rabbit dogs. Prior to his retirement he was a truck driver for Purcell Rubber and Tire Company and had traveled all over the United States. To send flowers in memory of Norman L. Gibson, please visit our Heartfelt Sympathies Store. Provide comfort for the family of Norman L. Gibson by sending flowers. We are gonna miss u so much! !